These days when talking about efficiency in any Office application, particularly in Excel, keyboard shortcuts are a must. 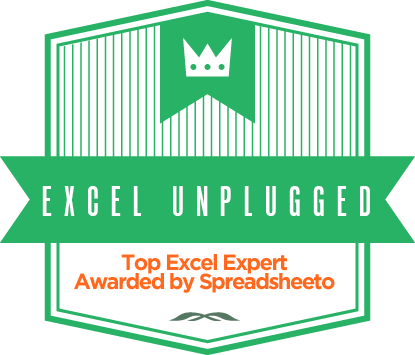 But since we can’t really be efficient without the mouse, let’s see what are the hidden, but great uses of the mouse in Excel. Let’s start with one of my favorites. 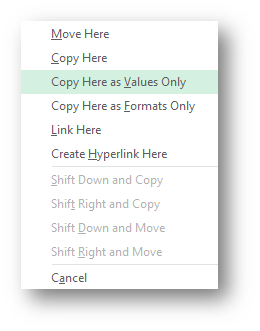 If you’ve opened Excel more than once, you have absolutely felt the need to copy some data and paste it as a Value (most commonly used when pasting data to a Sheet where the formulas would no longer function) . Where you only need the results of a formula but not the formula itself. My guess is that every Excel user goes about it the same way. Right click and Copy or Ctrl + C and then Right Click, Paste Special and I guess we all know the drill. But here’s another way to get the same result. The Fill command on the HOME tab in Excel is home to some brilliant commands. Here are some great things it will let you do. Borrowed the title from the Beach boys, but since Excel has 17,179,869,184 cells on one Sheet, it is vital that you can Get Around 🙂 The Ctrl + Arrows combinations are a given when maneuvering a large table. But the mouse can also get you there. It’s actually quite simple. 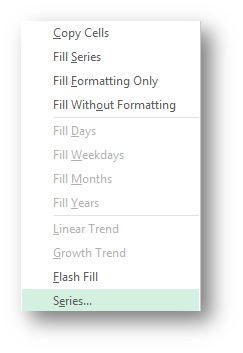 You select a cell and if you want to go to the bottom of data in that column, all you have to do is place a mouse cursor on the bottom border of that cell, and then you just double click. If you placed yourself on the Right border, you would go to the last piece of data in that row and so on… As simple as that!